A 165′ boat or a building on water is now available for sale. I’m not much of a boat person but this mamoth is ridiculous. 4/5 Guest Staterooms which are basically sweets, and lots of other guest rooms not including the crew rooms. You would need a crew of 7 and some with a Doctorate in Mechanical Engineering to operate this amazing beauty. These controls of the boat are insane, you need to a pilot’s license to be able to control it, there are so many joysticks I can’t even tell where the throttle is, but those captain seats look really comfortable. 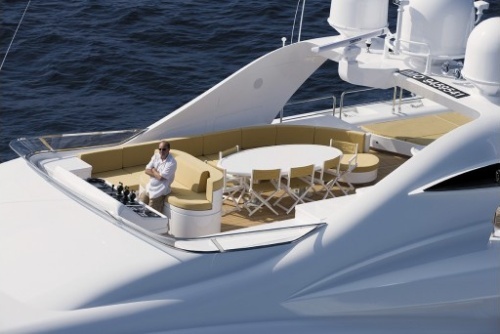 The outdoor seating is amazing, you can really live for a while on a yacht such as this. 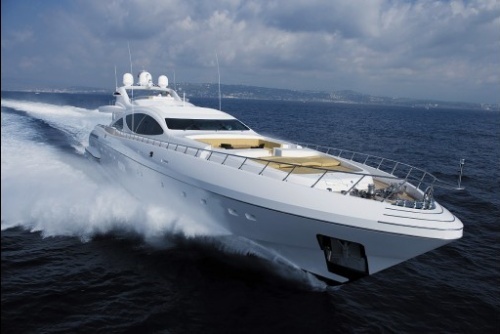 So does anyone have $42,000,000 to spare to purchase this Mangusta? 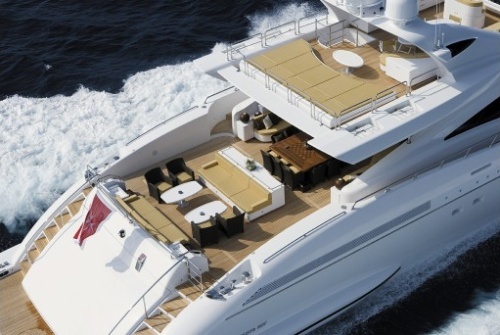 Usually boats of this size that I have seen online have these tacky looks to them but this one seems to look very nice. Not the usual green and gold, but this time its a nice wood furnishing and I like the dining area. Its practically bigger then most homes, I would whats the cost of filling up the tanks of this machine.